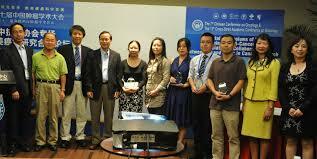 The Awards will be presented in a ceremony during the 3rd Guangzhou International Symposium on Oncology, November 7-9, 2013, Guangzhou, China. Candidacy is open to all Chinese researchers who were trained in US and subsequently returned to China during the last two years, and are currently active in cancer research in China Selection of the award winners will be made on the basis of the candidate's meritorious achievements in cancer research both during training in US and after returning to China. The winners will receive an Award Recognition Plaque and an honorarium of $1,000 US dollars.